As we near the end of the fall semester, OIT would like to showcase some services and support we think are useful, particularly for students during this time of the year. Contact the CET Support Desk at 413 597 3088 or [email protected]. The CET workspace is a great place for walk-up support or even a place to sit and relax. Or stop by the CET to talk with a Student Media Consultant (SMC) for questions or help with the creation of audio, video, and print media. We’re located on the 2nd floor of Sawyer Library. Helpful Glow support documentation is available at http://oit.williams.edu/help-docs/glow/ . Or if you’re stuck and need to talk with someone, contact the CET Support Desk by phone or email or stop by to chat. Lynda.com provides in-depth instructional videos for a range of technology and business topics. 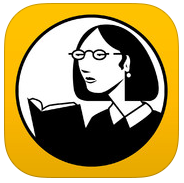 Williams’ Lynda Campus license provides everyone at Williams web-based access to the entire lynda.com library. A collection of technology devices such as digital cameras, audio recording kits, and microphones are available for check-out from the Equipment Loan Center – http://elc.williams.edu. In addition, laptops are available for use from the Library check out center. Williams’ high performance computing cluster is now open to all students at Williams. If you’re interested in access now or in Winter Study, or would like to find out what you can do with hpc at Williams, please visit https://oit.williams.edu/hpcc or contact [email protected] for more information. And don’t forget about the Vive virtual reality room, Xbox and Playstation when you need to take a break. Borrow controllers and games from the library circulation desk or bring your own.